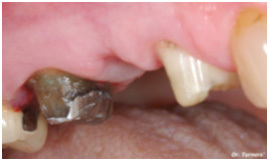 Crowns are nothing but fixed prosthesis which are bonded or cemented on to natural teeth and/or implant abutments. Each crown is custom made for you at our in-house laboratory. 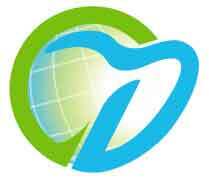 Today, we advocate the use of all ceramic crowns only, using the latest CAD-CAM (Computer Assisted Design; Computer Assisted Manufacture), thereby eliminating any sort of human touch or error in the manufacturing process. This ensures an immaculate fit, look and feel of your crown. 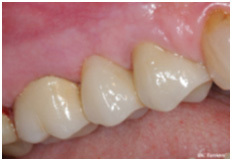 Crowns are used mainly to strengthen the underlying tooth they are cemented on. At times two or more crowns can be splinted together to form a bridge. In simple words, a bridge is 2 or more crowns fused together. 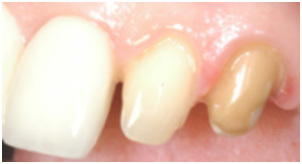 The most common indication of a bridge is when there is a missing tooth. 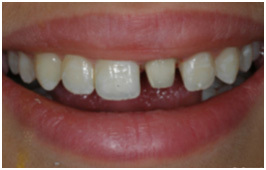 The teeth adjacent to the space of the missing tooth are prepared, to receive crowns and a bridge consisting of 3 teeth is then cemented on. The missing tooth is thus replaced by an artificial crown, which is joined to crowns which are cemented on the adjacent natural teeth. 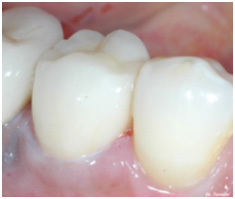 During the first appointment, we prepare the tooth which requires a crown using scientific principles. This is then followed by taking an impression of the prepared tooth and fabrication and cementation of a temporary crown. The impression is sent off to our laboratory, where our skilled technicians fabricate your crown by passing it through various processes, right from scanning of your mould to final glaze and polish of the crown. At your next appointment, approximately after 6-7 working days, the temporary crown is removed and the permanent crown is tried for the look, feel, aesthetics. Once it is comfortable, it is permanently cemented in your mouth. 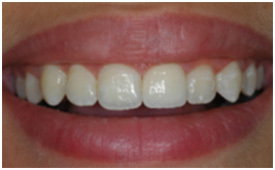 Although they are aesthetic, they lack translucency as compared to the natural teeth due to metal present in them. 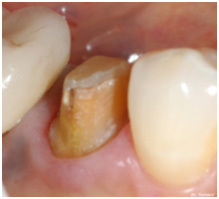 They often cause discolouration of the underlying gum with respect to the crowned tooth. The aesthetics are another level all together. Their property of translucency helps the crown mimic the surrounding natural teeth, so much so, that you can hardly distinguish between natural tooth and crown. They are much stronger than porcelain fused to metal crowns. They do not cause discolouration of the underlying gum tissue. Highly biocompatible and so well glazed, they do not harbor plaque. 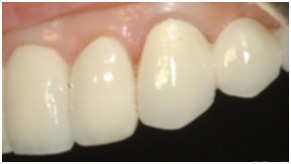 Final EMAX crown bonded, you can barely tell the difference!